Distinguishing Characteristics: White male. Blond hair, blue eyes. Watkins has a scar on his left knee. Clothing/Jewelry Description: A black shirt and black jeans or shorts. 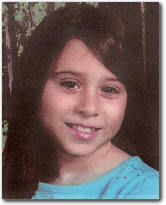 Watkins was last seen in Paradise, California on April 25, 1998. He has never been heard from again. Few details are available in his case.